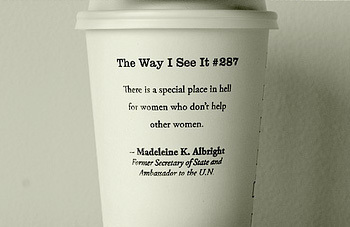 Remember when T-Swift said, “There is a special place in hell for women who don’t help other women”? Or was that Madeleine Albright? Katie Couric? Anyway, we remember, and so does Hilary Duff, and she’s got Tony winner Sutton Foster’s back. Take a look at this new clip from the upcoming TV Land series Younger, which stars Foster as a divorced mother from Jersey who—while in her 40s—disguises herself Tootsie-style as a 20-something to help kickstart her new career. The new comedy has shifted its premiere, and will now debut on March 31, 2015.